I spotted this Eastern Phoebe in Florence River Park (at the far eastern end of Florence,CO) today. This is the first time I have seen this species here but I have been under walking restrictions for my knee so I have done little walking here for awhile. 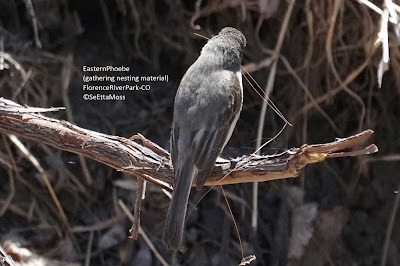 The phoebe is holding grass stems or other plant fibers in her bill. 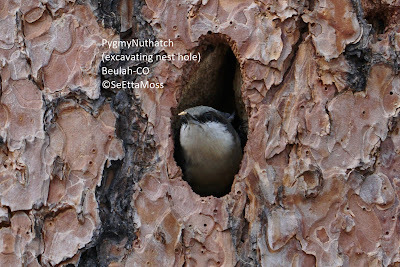 I say 'she' as in Eastern Phoebes it is the female who exclusively builds the nest. 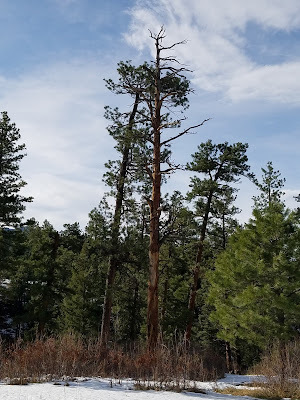 I drove up to Pueblo Mountain Park on Sunday, a beautiful warm day that was even in the 60's which is at about 6,700 feet. 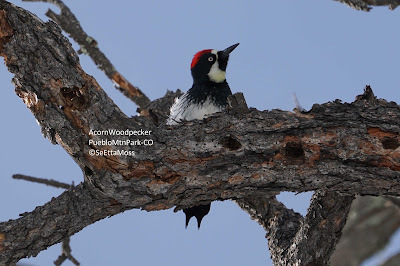 I didn't see any woodpeckers when I got to the location where their larder/'granery' tree is located so I walked down to it and was looking around the back side in case one was back there when this male flew in. He landed about 50 above the ground. I took these pics with my 300 mm lens which provides a 450mm equivalent as my camera is not full frame, then cropped the pics severely to get these relative close up views. 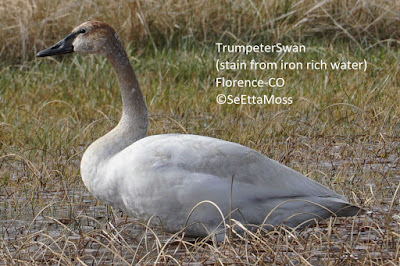 Trumpeter Swan in Colorado from SeEtta Moss on Vimeo.